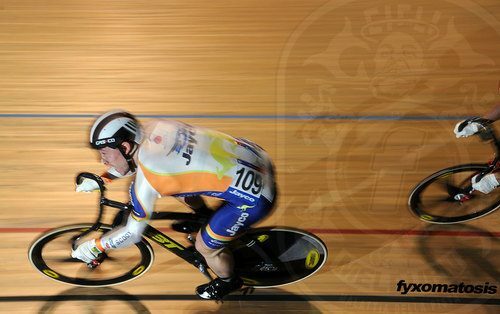 Fxyomatosis has a great deal of coverage from the UCI Track World Cup in Melbourne up on the site. Amazing photos covering all the wins and work that went into another successful UCI World Cup. Shane Perkins gave Kevin Sireau a run for his money. Perkins went on to win the gold and Andy caught turn 4 in the perfect light. Check out the image above in high-res. Perfect for your desktop.